Through the help of generous grants, the Springwater Garden Program has been able to expand the school garden beyond producing vegetables and focus on producing valuable habitat for native insect and animal species. Using student ingenuity, design, and work, the garden spaces now extend to a Pollinator Garden, Rain Garden, and Oak Savanna that spread across the school grounds. These thriving habitats are growing throughout the school, creating a living laboratory for the students to surround themselves in by exploring phenology, life cycles, biology, plant identification, plant propagation, and more. 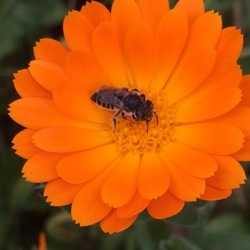 These biomes provide the students with the opportunity to create solutions for land use issues that they are concerned with and practical skills that promote positive ecological outcomes. 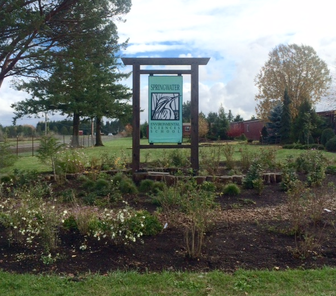 With the support of the Clackamas County Soil & Water Conservation District, the students were able to plant a garden filled with native plant species specifically for local pollinators. 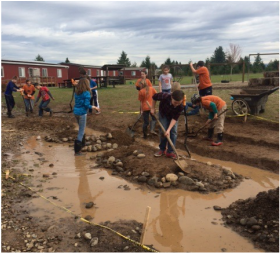 ﻿﻿With the help of the Hardy Plant Society of Oregon, the 5th-6th Grade students worked hard to design and build a native plant garden to capture the rain runoff on the school yard. After receiving a PLT GreenWorks! 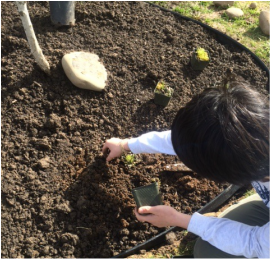 grant, the 7th grade students were able to research and build habitat zones with plants flourishing with native plant species.